Years of off-road racing experience has helped Rod Hall Products gain the knowledge and expertise to become a leader in off-road suspension design. Rod Hall Products has the engineering and practical know how to address any suspension problem that may arise. If you have a vehicle suspension problem, Rod Hall Products can give you a solution. 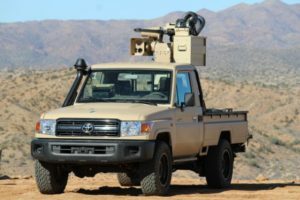 Rod Hall Products, HMMWV suspension supplier to SOCOM, and LC 79 suspension supplier to ATK is a leader in custom suspension systems for armored and unarmored military type and civilian vehicles. 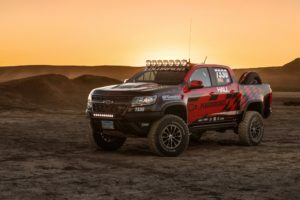 With fifty plus years of off-road racing experience, (the Hall family has 41 Baja 1000 wins) and our practical military application of race winning technology, you will not find another company that can design, test, manufacture and distribute custom suspension systems that exceed expected performance and durability with a quick turnaround. Rod Hall Products has complete in house engineering capabilities. If you are looking at increasing on and off-road performance, payload carrying capabilities, ride quality, handling and stability while decreasing vehicle maintenance, let us know.